Residents of North East Lincolnshire will soon find it easier to get an eye appointment at their local clinical commissioning group (CCG). That's because the NHS North East Lincolnshire CCG has decided to commission a group of specialized eye care providers from the company Newmedica. 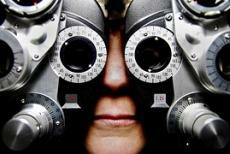 The specialists from Newmedica will offer diagnostic and treatment procedures for various eye conditions. Just a few of these procedures include cataract surgery, YAG laser capulotomy, peripheral iridotomy, and oculoplastics. These new staff members will also be able to diagnose diseases such as glaucoma and age-related macular degeneration (AMD). The North East Lincolnshire CCG said that the Newmedica services would begin in April. If all goes well, the service should dramatically cut down patient wait times. Members of the North East Lincolnshire CCG staff point out that these Newmedica specialists will not replace the services or doctors already working at the facility. The help from Newmedica should support the Northern Lincolnshire and Goole NHS Foundation Trust as well as St. Hugh's Hospital. Sarah Dawson, a service project lead at the CCG, told reporters this partnership with Newmedica is designed to cut their patients' wait times for appointments. She also believes it will dramatically help people scheduling outpatient follow-ups with eye care specialists. Executives at Newmedica are thrilled to be partnering with North East Lincolnshire CCG. A few employees at Newmedica told reporters that they were "committed to providing the best outcomes for North East Lincolnshire patients." Anyone calling for an eye appointment at North East Lincolnshire CCG should expect to be seen within four weeks time or less. A waiting period of four weeks is the NHS standard for anyone referred by his or her general practitioner. Newmedica currently has an impressive track record as one of England's most powerful independent sector ophthalmology providers. The staff at Newmedica has performed over 70,000 patient interactions at over 20 British clinics. Newmedica works closely with various NHS facilities, including NHS Trusts, CCGs, and Federation Trusts. Newmedica's head office is on 90 London Road in London's Southbank Technopark.